Your Inner Fish is a book which uses comparisons between human anatomy and the anatomy of other animals, living or extinct, to show how evolution helps explain the way we are and the way our bodies develop. 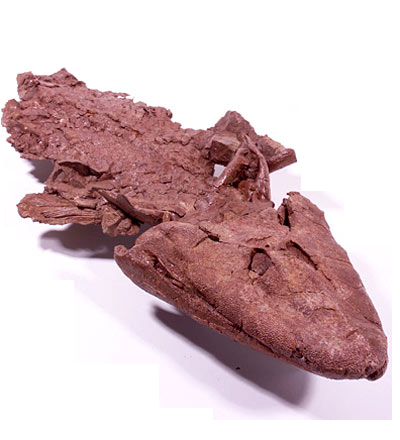 Shubin is the palaeontologist who discovered Tiktaalik, one of the key fossils in understanding the fish/tetrapod transition, so that features somewhat, but he also draws on a wide range of examples from other species. So for example, he traces the evolution of fin into hand over evolutionary history, but also examines how the growing embryo creates a hand (or a fin) from a blob of undifferentiated cells. He uses the evolutionary relationship between the structure of the human head and the gill arches of a shark to explain why the nerves of the head have such a peculiar relationship, how hiccuping is related to our amphibian ancestry, and so on. Most of this material is rather technical and many of the examples were somewhat familiar to me, so the book could easily have been either impenetrable or just dull. In fact I found it worked very well; even when I had encountered some of the examples before, having them all put together into one book was very helpful. I really did feel after reading it that I was more in touch with my inner fish (and inner wormy thing, for that matter). And it’s well written, as well. There was a rather clumsy bit in one the first chapter where he attempts to explain cladistics via a visit to the zoo, which had me worried that the book was going to be aimed at eleven-year-olds, but fortunately it turned out to be a blip. Generally the book seems well-pitched for intelligent adults who are curious about biology.